For students of film, one of the most influential pictures ever made was The Battle of Algiers. It was shot on the streets of the Algerian capital in the early 1960s, was made in documentary style and dramatised the tumultuous events of the nation’s independence struggle from France. When first shown in France, it inflamed nationalist tensions. But for all its controversy the film provided a powerful insight into the brutality of that fight for sovereignty and self-determination. Freedom is a beautiful thing, the winning of it is not. Today, where so much history is forgotten or simply flicked over with a slide of the finger, The Battle of Algiers should serve as a timely lesson in 90 minutes of black-and-white frames of what revolution means. And since April 1962, Algeria has been ruled and shaped by the generation of freedom fighters who ended French rule. For the past two decades, President Abdul Aziz Bouteflika oversaw matters. 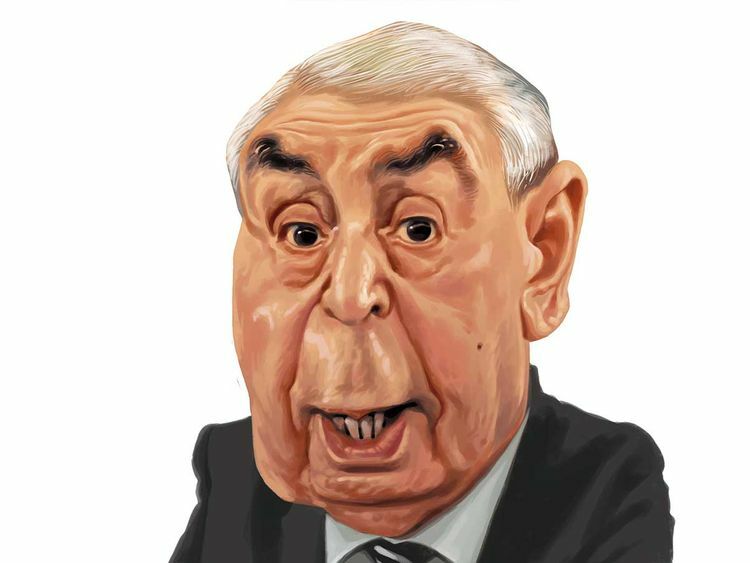 Ailing, ageing, Bouteflika only reluctantly stepped aside when it became obvious that the tens of thousands in the streets of Algiers and every other city too would not be mollified by anything less. Those protesters are still in the streets, but in not so many numbers, and the man charged now with mollifying them is Abdul Qader Bin Salah. The 77-year-old interim leader too is of that generation of revolutionaries who saw off the French and made Algeria stand free. He faces an onerous challenge, but he’s a figure who knows what it means to serve party loyally — part and parcel of being a willing participant of the independence cadre. “I am required by national duty to take on this heavy responsibility of steering a transition that will allow the Algerian people to exercise its sovereignty,” Bin Salah told parliament following his appointment on Tuesday. He has been the leader of parliament’s upper chamber for 17 years. A close ally of the former leader, Bin Salah is to use his short tenure to organise presidential elections, for which he will not be able to run. He was born close to the Moroccan border at Tlemcen in November 1941. Like America, Algeria too has its own birther controversy, and Bin Salah’s critics include an element that accuses him of being Moroccan by birth and having been naturalised Algerian in the 1960s. That would make him ineligible to be in office, and Bin Salah has vehemently and consistently denied the unfounded allegation. After participating in the war of independence, Bin Salah moved to Damascus to study law. There was a stint too as a journalist before his election in 1977 as a Member of Parliament for Algeria’s National Liberation Front — the party that has dominated its politics since independence. Since then, he has been an ambassador and senior civil servant and in 2002 — three years after Bouteflika rose to power — he was appointed head of the Council of the Nation, the upper house of the Algerian parliament. He has been duly re-elected every three years since then and his current mandate is due to end in 2021. In recent years he has also represented the country at international gatherings in lieu of Bouteflika, who retired from the public eye following a stroke in 2013. His position gave Bin Salah the power to assume the presidency should the elected leader not be able to carry out his duties. His latest appointment is in line with the country’s constitution although the opposition abstained from the vote earlier on Tuesday. Those mass demonstrations had called for a renewal of the political system and a transition period in which key figures from the top echelon of Algerian politics would be excluded. These include Tayeb Belaiz, the President of the Constitutional Council, the recently appointed Prime Mister, Noureddine Bedoui and Bin Salah. In a televised speech to the nation, Bin Salah promised to organise free elections within the three months required under Algeria’s constitution. He also said that the army was aligned with the constitution, and said he would consult with the political class and civil society alike in pursuit of a new Algeria. As a man who has been in the trenches fighting for freedom and in the inner circles of power for so long, he knows what it takes to win. The politics of revolution are all evolution. And unlike in The Battle for Algiers, history isn’t neatly wrapped up in 90 minutes.